We need your help! This page will be a resource for Eaglemoss DeLorean builders who want to use our Flux Capacitor in place of the stock Eaglemoss version. We want to help the community of builders by including your mod guides, photos, and videos on this page. We welcome mod guides and tips in all languages as almost half of all our products sold are to France, Germany as well as many other countries. Will we produce a 1:8 version of our Flux Capacitor? 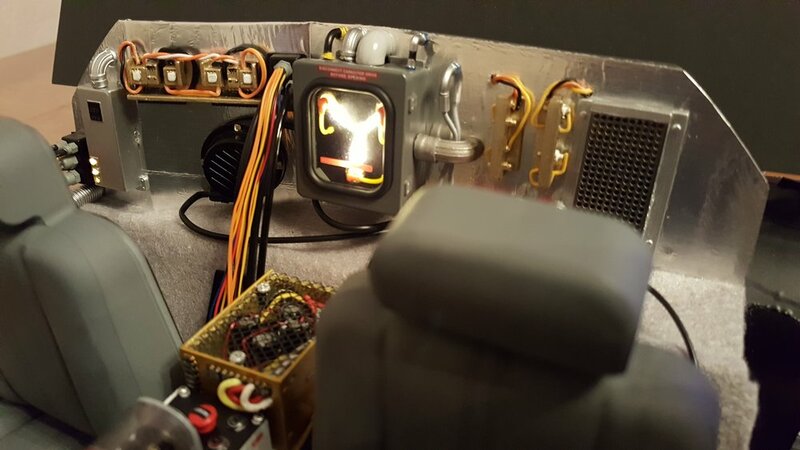 We have had many inquiries from Eaglemoss DeLorean builders about using our Flux Capacitor in their models instead of the stock Eaglemoss version. Despite the Eaglemoss model being 1:8 scale, we think our 1:10 scale Flux Capacitor looks amazing installed in the model and the lighting effect is far more movie accurate. Unfortunately we are all sold out of our 1:10 scale Mini Flux Capacitors so if you didn't purchase one in time from, I'm sorry! As much as we'd like to produce a 1:8 scale version, the tooling (steel molds) for our many small parts is extremely expensive and therefore not an option for us at this time. But again, several current builders have said that our 1:10 scale Flux Capacitor looks great installed. 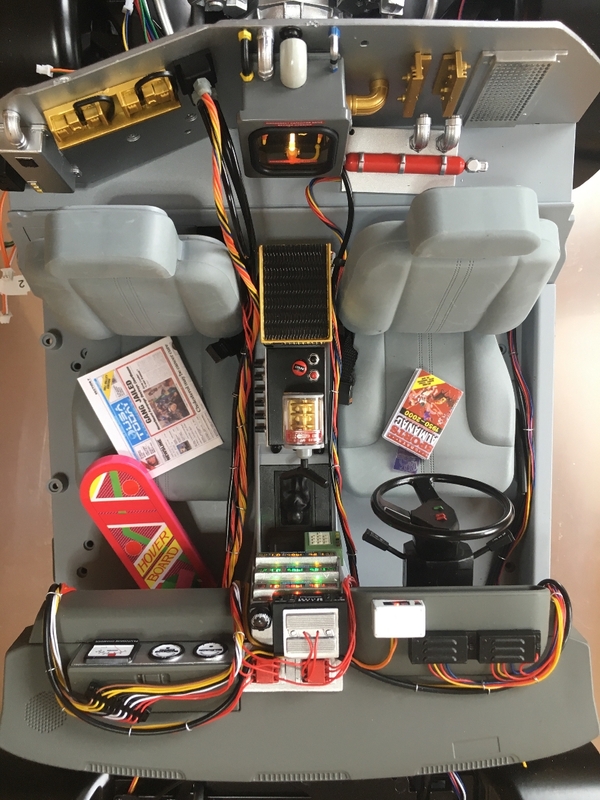 We have even seen a very impressive mod incorporating our Flux Capacitor with external Arduino control! If you have not yet started building your own Eaglemoss DeLorean, it's amazing! Once again, please email your mod guides, photos, and videos (or links to them) to madgeekcollectibles@gmail.com and we will include them on this page. Thank you!